Red Bull Racing have revealed the first shots of their new car, dubbed RB15. It is the first one in the history of the team that the team's car will be powered by a Honda engine, following a lengthy period of Renault power supply. Driven for the first time by Max Verstappen and eagerly watched by Pierre Gasly, the RB15 broke covers today at the Team’s official filming day at Silverstone Circuit. The new car looks even more tighly packages than its predecessors, a feature that always bodes well for aerodynamic performance. Along with the team's experience in this area, and its resources, cooling shouldn't be an immediate issue either. While it may not be surprise to see such packaging on a car in which Adrian Newey was reportedly fairly involved, it is a surprise that this is possible in combination with a new engine partner. Not per se due to the characteristics of the Honda engine, but it is common to see that teams initially go for a safe approach when fitting a new engine. 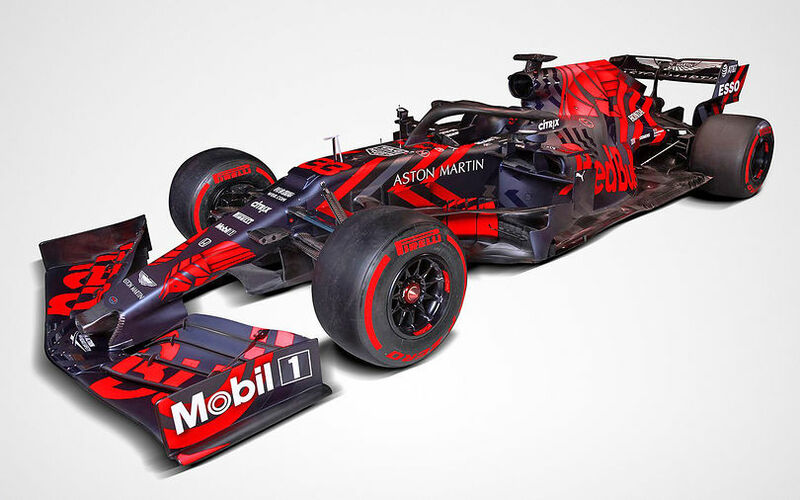 At first sight, it does not look like Red Bull opted to do so, but instead went all-out to make the best of it as of the start of their 2019 campaign. 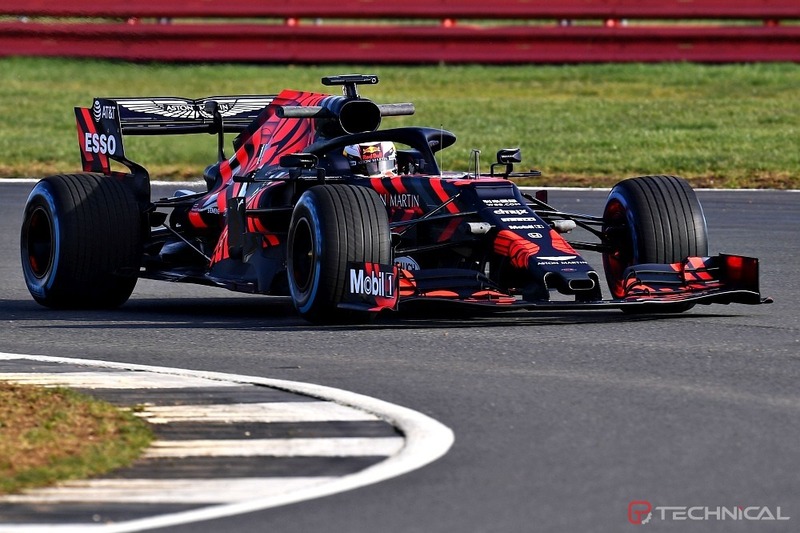 As has become tradition for the Team, the all-new RB15 made its first appearance clad in a stunning one-off launch livery, a stealthy-looking dark blue colour scheme lit with glowing red chevrons. And over the course of six runs at the Northamptonshire circuit, the new charger performed faultlessly, with Max getting through 38 laps as the Team performed a battery of systems checks ahead of next week’s first test in Barcelona.